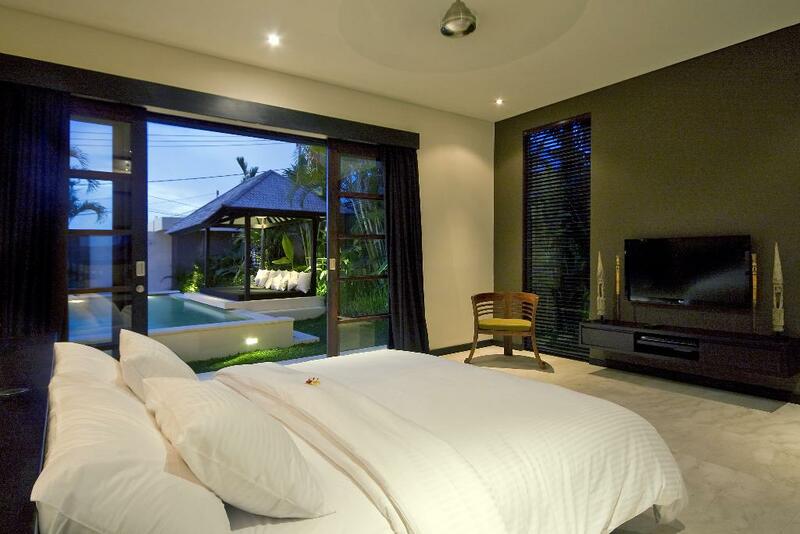 The requested dates for Spirit 3 BR are not valid as Arrival/Departure days. 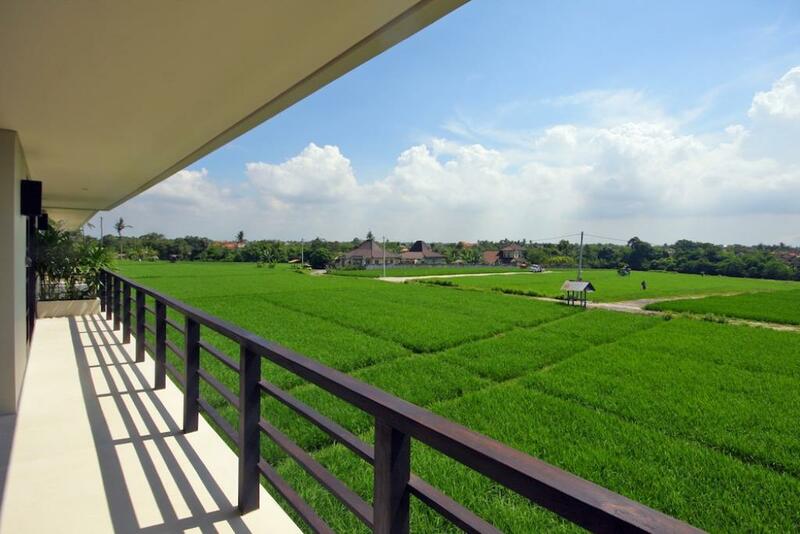 The minimum stay for Spirit 3 BR is tmp_days days. 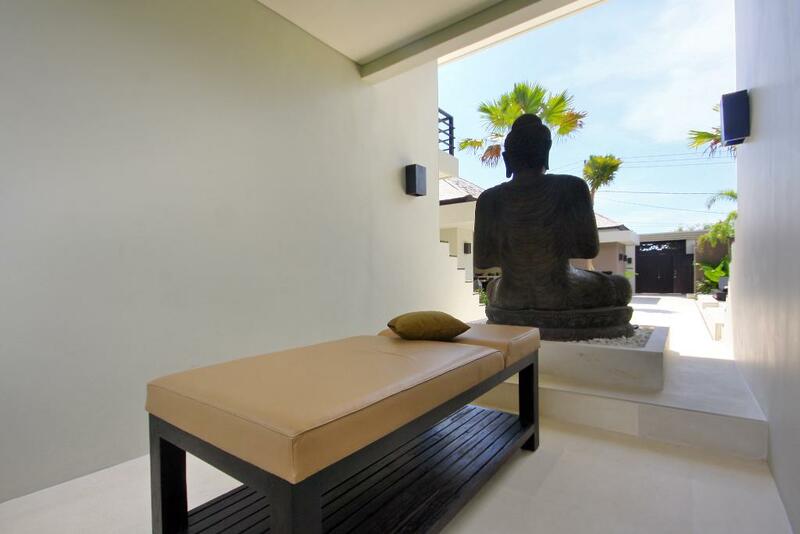 The valid Arrival/Departure day for Spirit 3 BR is tmp_day. 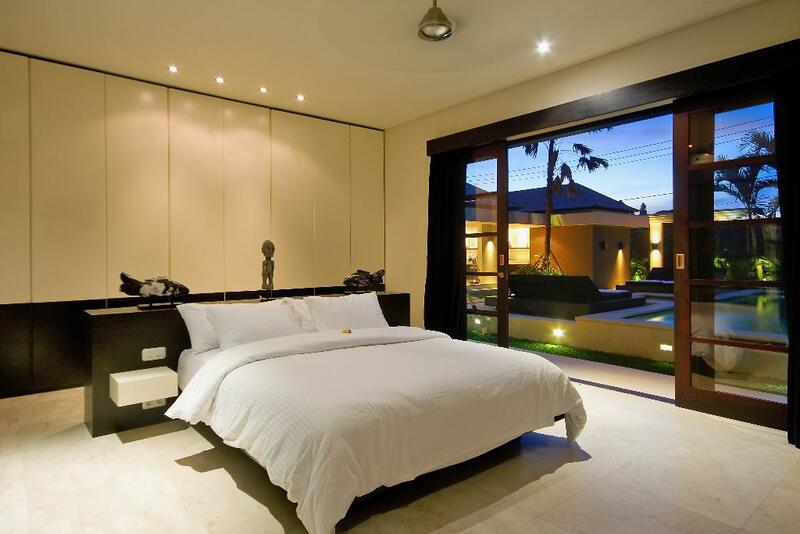 The requested dates for Spirit 3 BR are not valid as Arrival/Departure days as they produce a gap that cannot be filled with another booking. 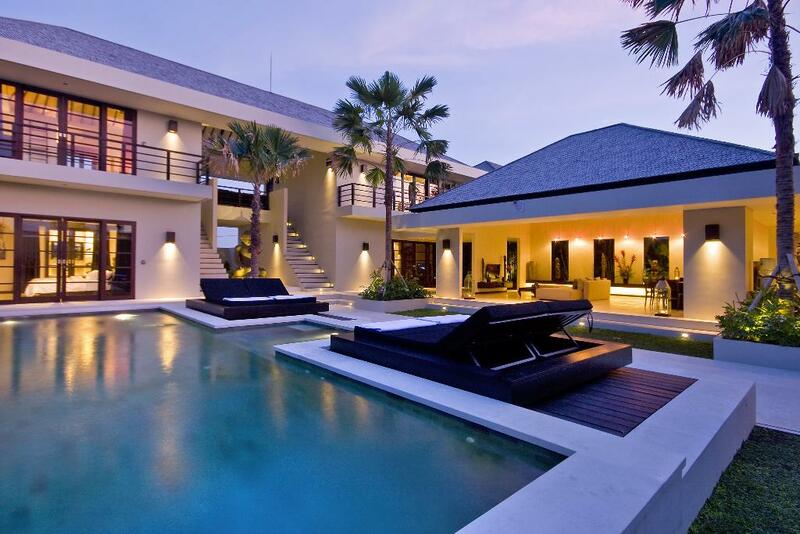 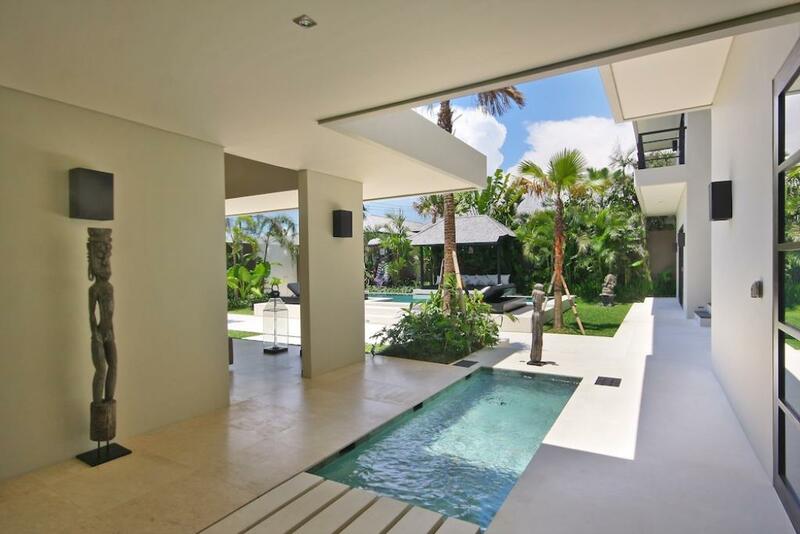 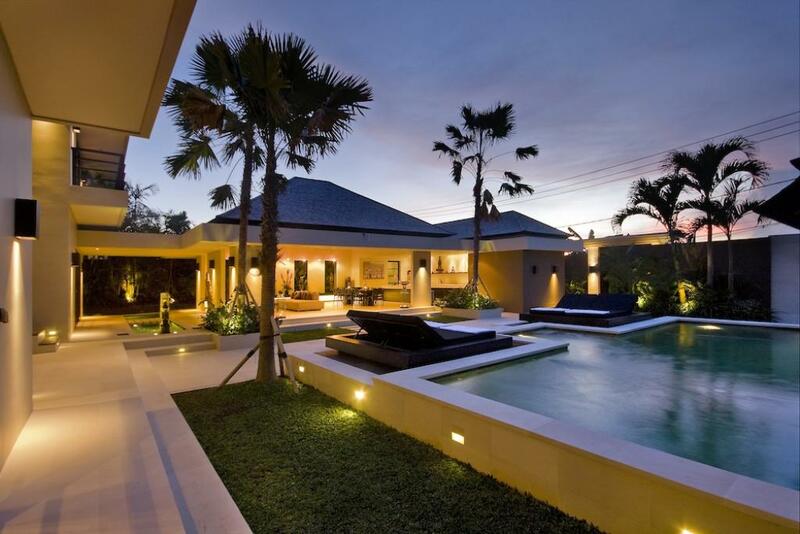 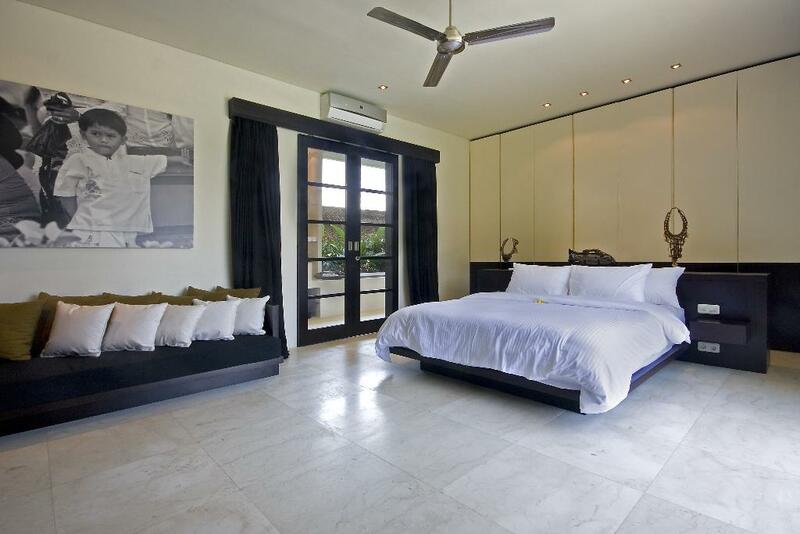 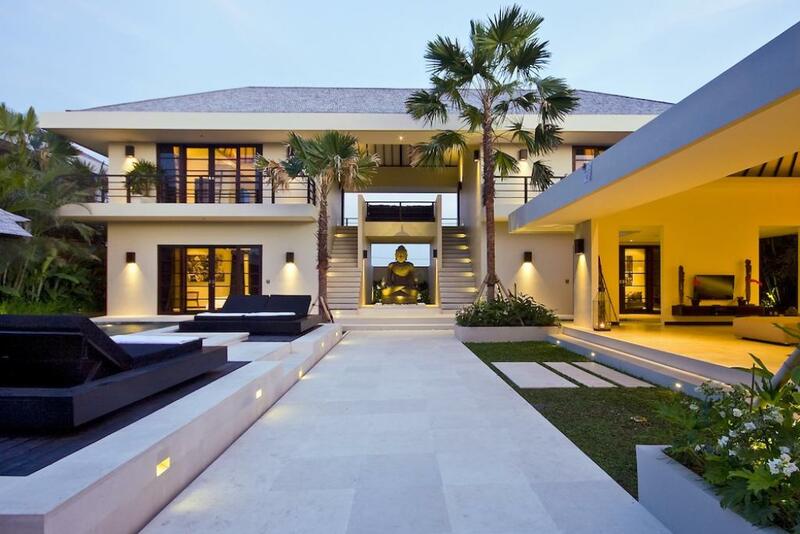 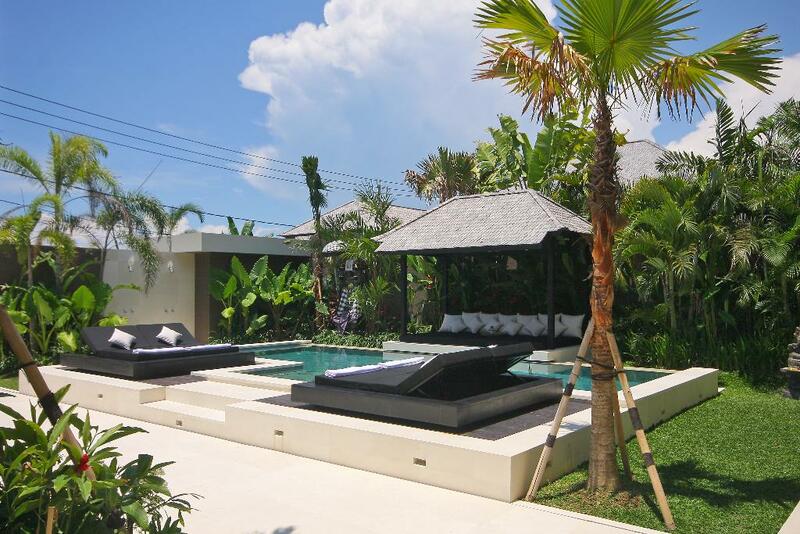 This beautiful luxury holiday villa is located in popular Canggu between magnificent green rice paddies. 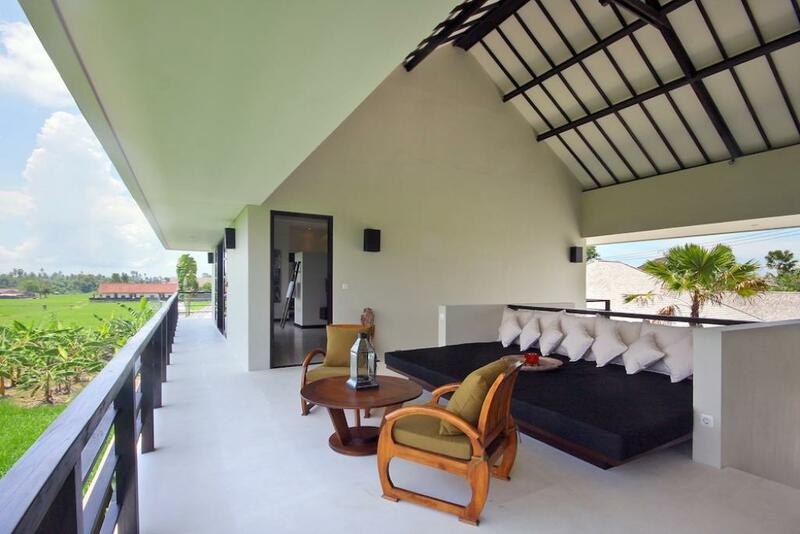 The villa offers a lovely modern Balinese atmosphere, on a minute walking distance from the prestigious Canggu Club, Canggu Deli supermarket for your daily groceries and close to Batu Belig beach, a cozy beach and a well-kept secret of the insiders of Bali. 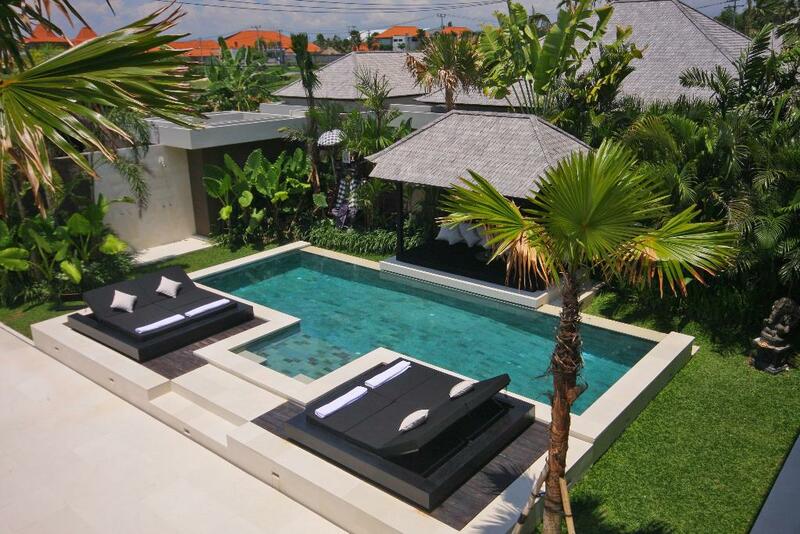 A few minutes drive by scooter, you are right in the bustling heart of Seminyak, Oberoi and Petitenget, well known for its many restaurants, hip boutiques and trendy beach- and nightclubs, like Ku De Ta, Hu'u bar and Potato Head Beach Club. 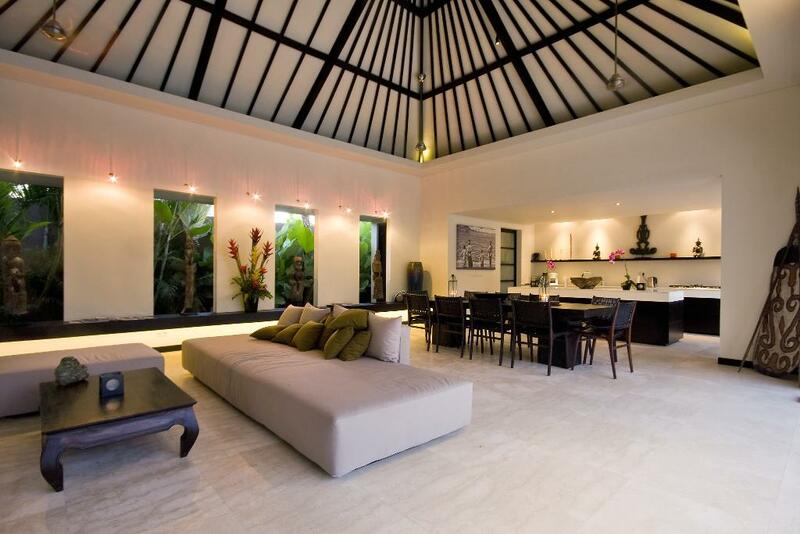 This unique location of villa Spirit offers you peace, privacy, an unforgettable introduction to Balinese culture, but also the possibility to enjoy a wide range of entertainment that the vibrant nightlife of Bali has to offer. 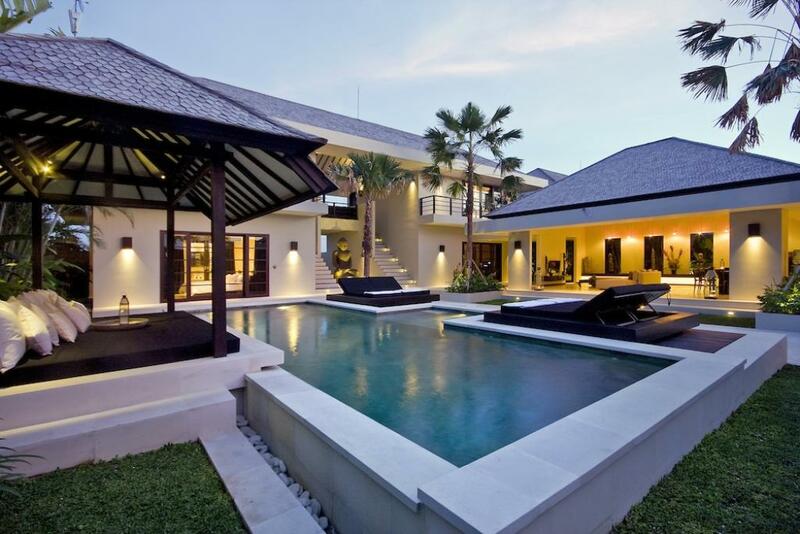 In short, an ideal place from where you can explore all charming, enchanting, and cozy places of the southwest coast of Bali. 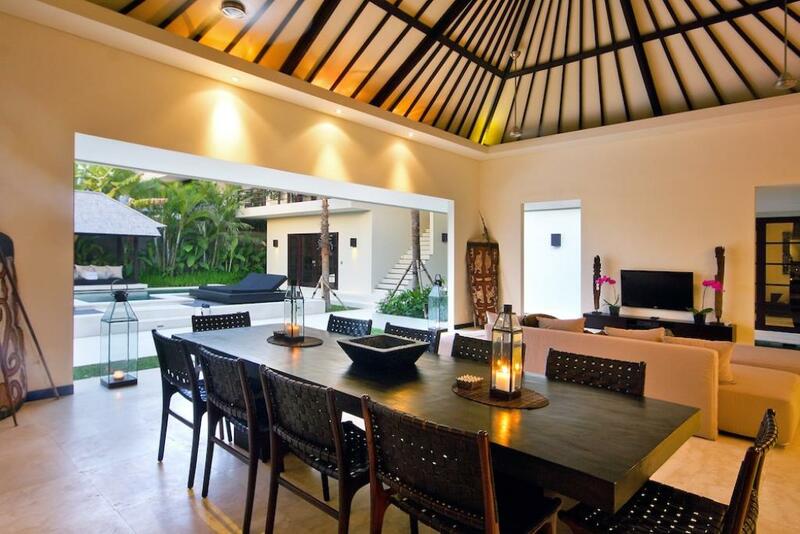 The spacious villa has an open living- and dining area, in modern style decorated with a great sense of taste and preservation of the Balinese style. 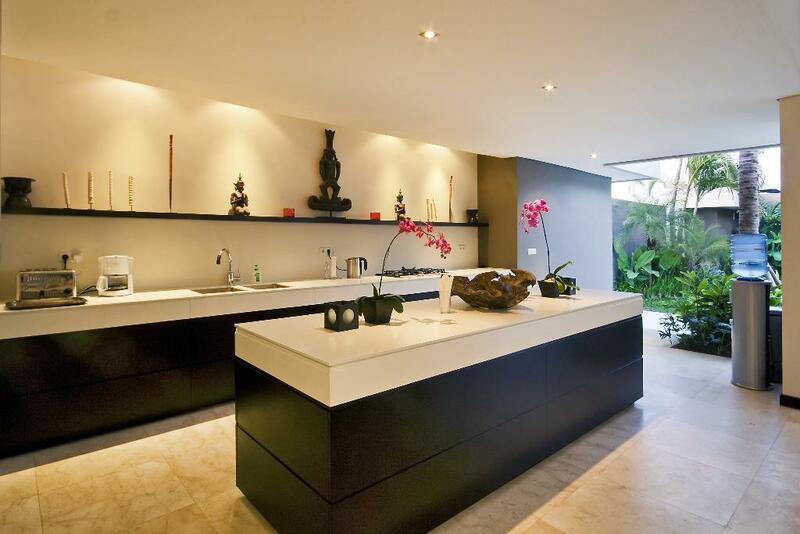 A luxurious, fully equipped kitchen provides you all western comforts to make your stay as comfortable as possible. 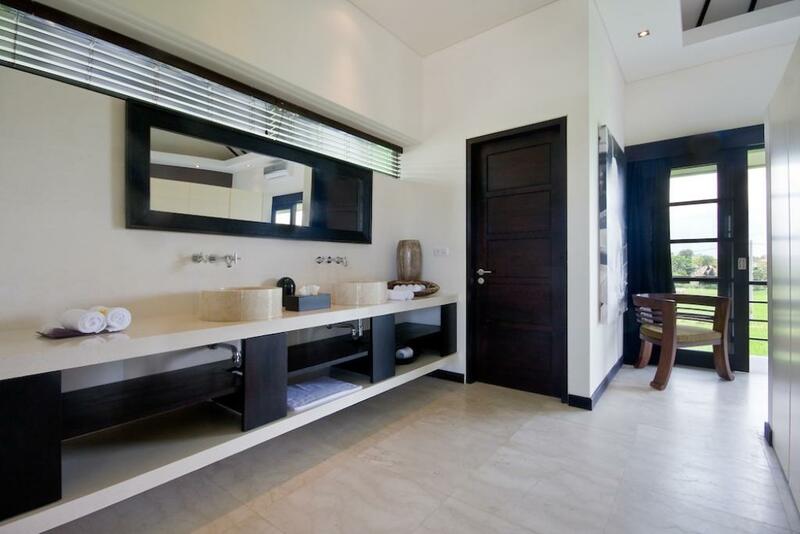 A separate, fully shielded utility and staff room ensures you totally privacy with your friendly and well trained staff in your close neighborhood. 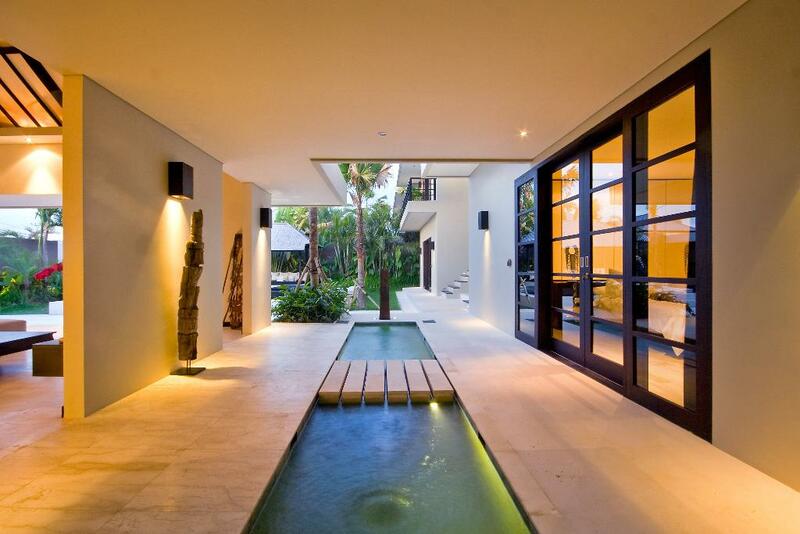 A pond connects the living room with two spacious bedrooms on the ground floor. 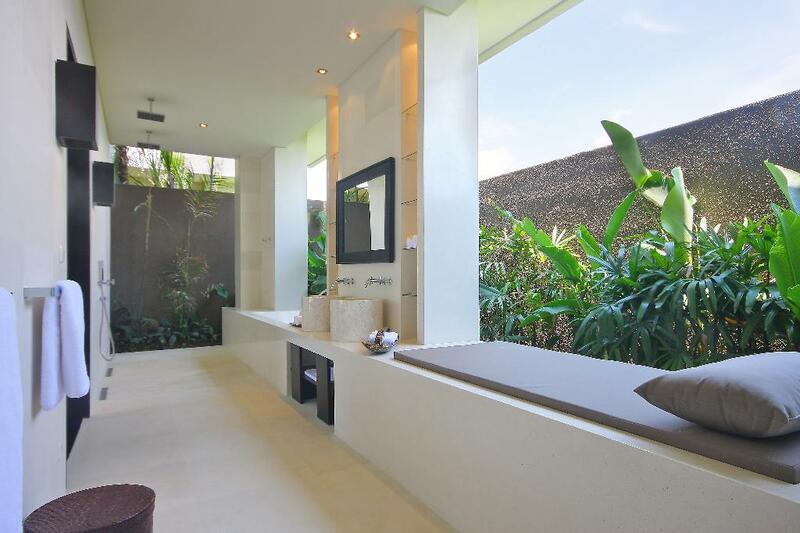 These bedrooms both have luxurious open bathrooms with bath tub and built in massage area. 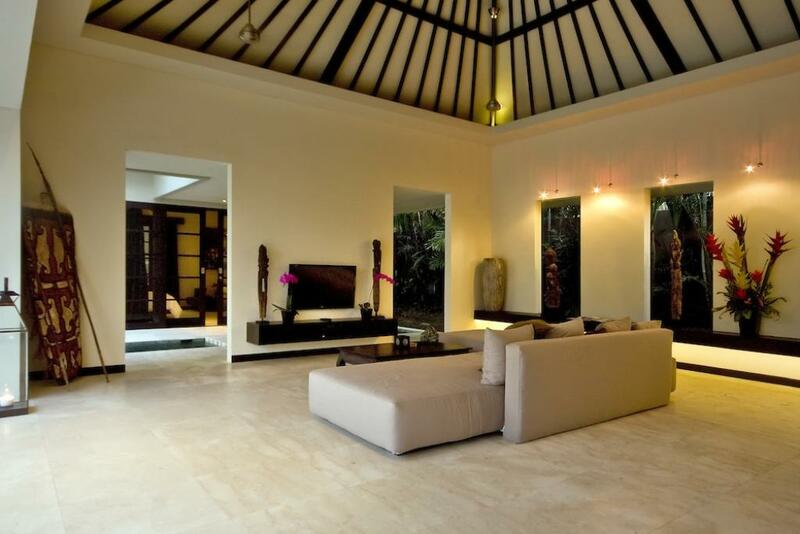 This special place in the villa offers a luxurious feeling in a natural tropical setting. 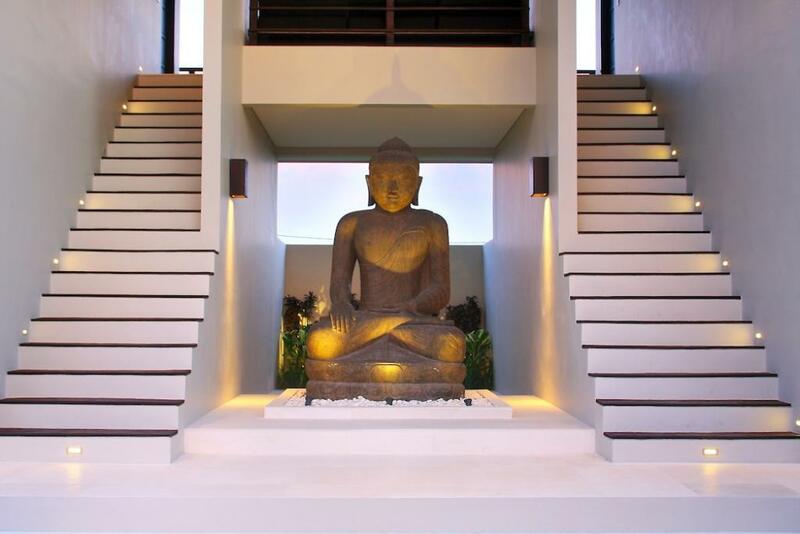 Via wide staircases, with an imposing Buddha statue in between, you come upstairs. 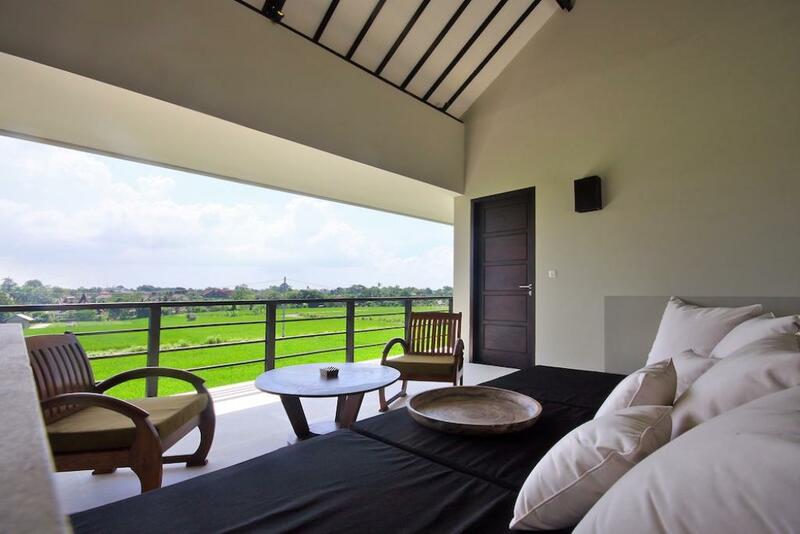 Here you will find a comfortable lounge area with stunning views over rice paddies. 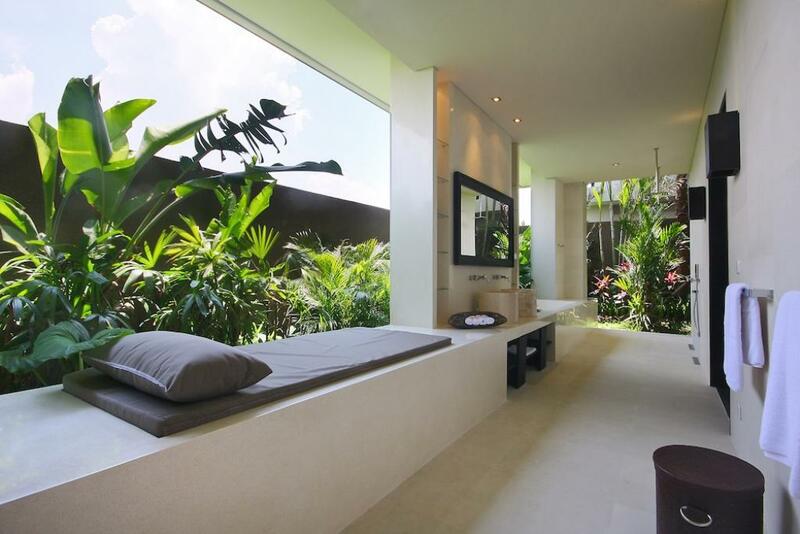 On either side of the lounge area are two bedrooms, each with en suite bathroom. 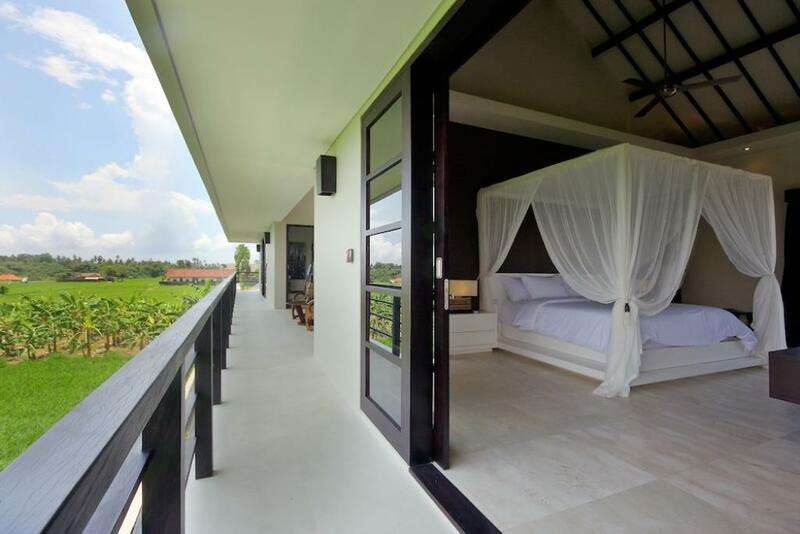 From these bedrooms, overlooking garden and swimming pool, you can endlessly enjoy stunning views over rice fields and the surrounding area. 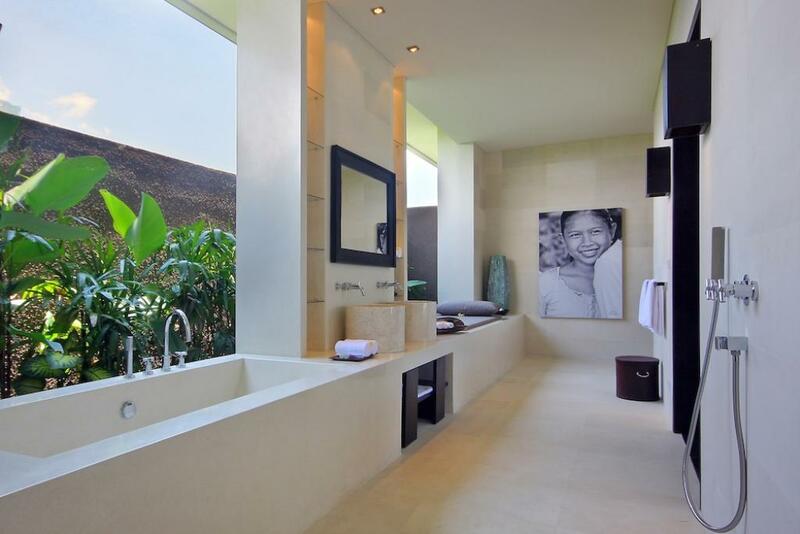 Villa Spirit offers an ultimate feeling of luxury and serenity in a tropical setting. 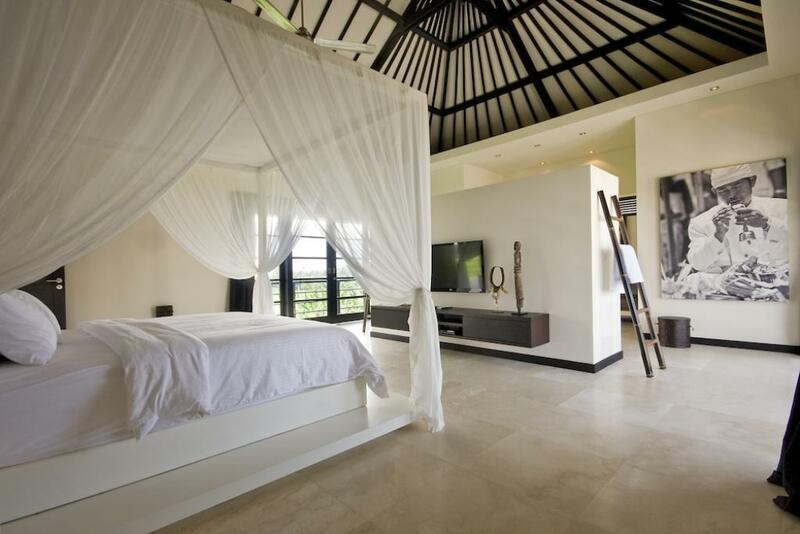 Villa Spirit is also offered as a two or four bedroom villa for up to 4 or 8 people.